In recent years the croquembouche has become a firm favourite on the alternative wedding cake scene, and you can see why! These fun balls of custardy choux pastry, encased in sweet crunchy caramel make a real impact on your desert table or even just on their own – so imagine how ridiculously excited I was when actually let loose on a croquembouche. Ahhh the sugar rush. 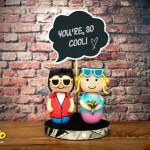 So sweeeeeet. Yup, the incredibly lovely Jen from She Bakes drove all the way from Brighton to hand-deliver our expertly crafted, beautiful croquembouche to my husbands surprise 40th birthday party. 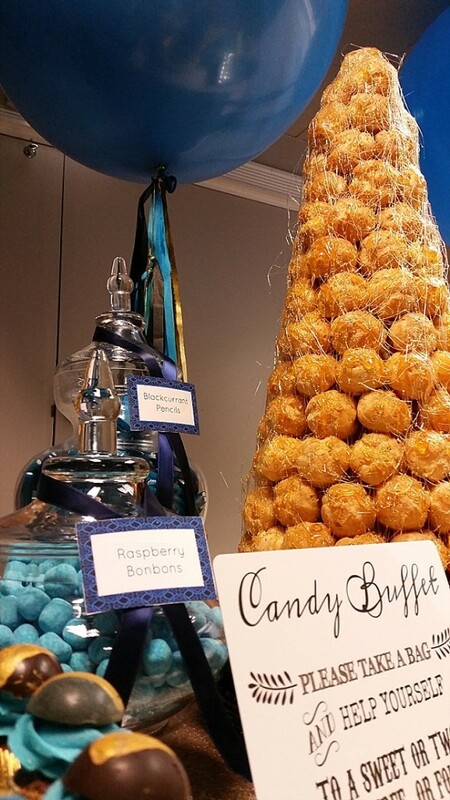 This utterly scrumptious bad-boy croquembouche, proudly took center stage on our rather magnificent and boyishly blue and gold desert table – and I’m afraid, it just didn’t stand a chance – it was promptly pulled apart and devoured by extremely eager, sticky fingered guests! If you are yet to order your wedding cake, I wholeheartedly [and that’s a big. massive. huge thing] recommend you get in touch with Jen, and even more so if you’re looking for an alternative type wedding cake. 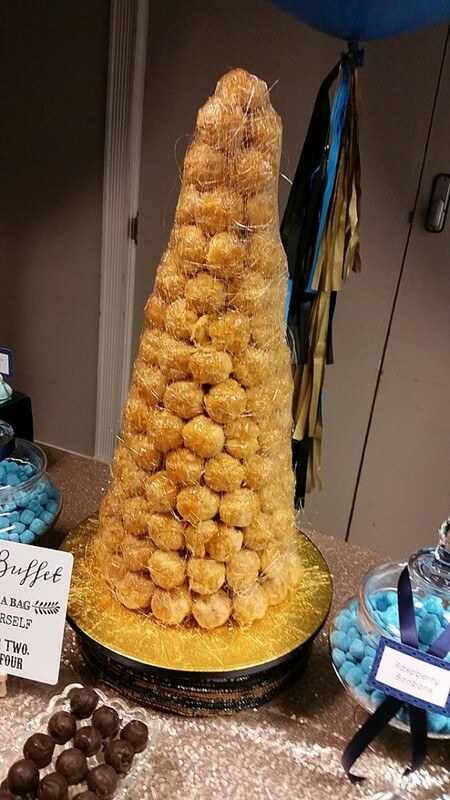 She is the one and only cake maker in the South East who can hand-deliver you a croquembouche on your wedding day! She Bakes started as an all round cake supplier after owner Jen Lindsey-Clark, chucked in her apron at the restaurant ‘Terre Terre’ in Brighton where she’d been a pastry chef for several years. She had a mission. Provide big and beautiful cakes for special people who love a good bit of cake. 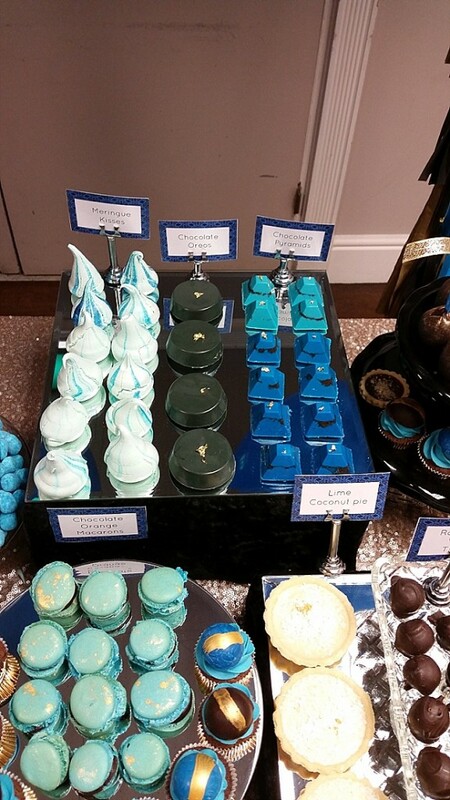 She Bakes’ super powers began to grow in the world of chocolate cakes, chocolates and especially the croquembouche. You folks just cannae get enough. 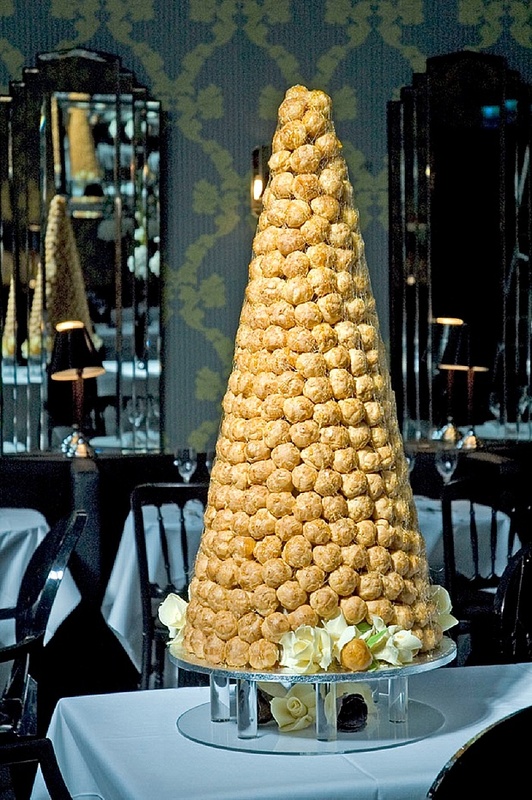 You have to give it to the French as they invented this one… the Croquembouche (originally the traditional french wedding / celebration cake – translated to ‘crunch in mouth’ ) is a wonderful invention bringing together the lightness and saltiness of choux pastry with a creamy custardy filling and seriously sticky, crunchy and architecturally powerful caramel. Once erected into the mighty ‘Bouche’ it stands tall and proud as a fantastic centerpiece for any celebration. 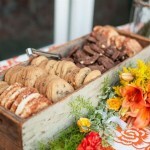 She Bakes does other yummy stuff too! Contemporary, classic and fanciful wedding cakes made in any flavour combination that you could possibly imagine! Brides-to-be shall we start a new wedding trend?!? Chocolate sculpture grooms. Omm.nom.nom. Visit She Bakes on facebook. Give Jen a call on 07813 619667 and definitely check out her lovely website. She Bakes. Those are some tasty cakes! 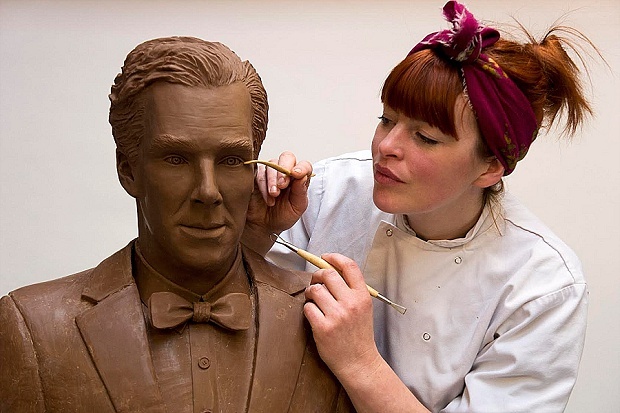 The chocolate Benedict Cumberbatch is kinda weird but still cool to have around.